Deciding on domain names is like naming your baby. Once you label your website with a certain name and domain, you have got to stick with it all the way and deal with its positive and negative effects. Thus, getting the right domain name for your business can be a major determining factor on whether or not your website is going to be successful. Sometimes we remember the brand names, sometimes we remember the website addresses. If you are taking your brand out into the world, having a domain that goes with your brand is essential. More people will remember you and your brand and website will be a memorable coupling. 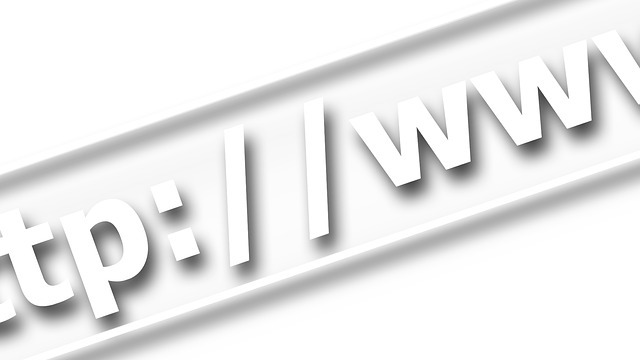 All popular websites run their web domain exactly as their brand name . It would be a shame if facebook had the domain name thesocialnetwork.net. With bookmarking available and search engines finding the website for the visitors, a short and sweet domain name may not seem important. But for the budding business, to make themselves known and to bring the brand forward a shorter and a memorable name is ideal. ‘.com’ is the first domain that comes to mind. Although there are organizations preferring ‘.org’ and companies targeting specific geographical areas such as ‘.co.uk’, the best and most popular domain extension of all is considered as ‘.com’. You would lose considerable website traffic by choosing ‘.net’ over ‘.com’. It is important for your domain name to be descriptive, giving an idea of what your site is about before clicking on it or entering. Furthermore, if you have useful keywords in the name, it tremendously helps your search engine rankings too. Running a movie review website would be better off with MoviesCentral.com rather than Tomsden.com. Visitors misspelling your domain name and ending up in a different site is the last thing you would want! Avoid unusual spellings, words, weird combinations and any such that might cause misspellings of your domain name. For example, CappuccinoBar.com might be problematic for English speaking visitors. Cappuccino is an Italian word, and not everyone is aware where the repeating letters are placed. Domain names containing hyphens or numbers are always cheaper due to the reason that its hard to remember the them. For example, with the domain baby-names , only the words ‘baby’ and ‘names’ stick in our minds and we tend to search for ‘babynames’ without the hyphen. With numbers, we tend to type the number in words, hence, making it ineffective. Don’t panic if your current address does not include all these characteristics or if you cannot find one with them. These are tips and factors to consider. There are many successful ones which do not include one or two from the list but make sure your domain has got most of the features mentioned above and you are good to go.